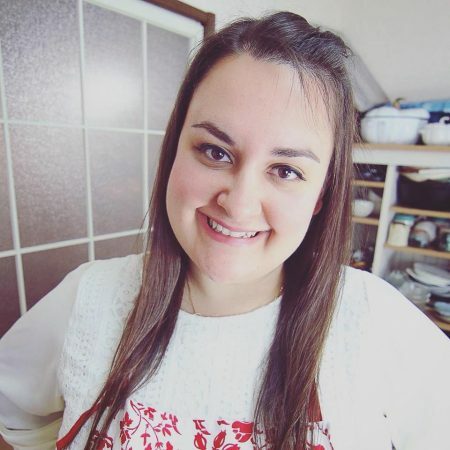 It’s the long weekend here in Japan and that means that I have three whole days to myself where I can test out some recipes and have fun in the kitchen! Since I’ll be busy making some new recipes, I thought I’d share another waffle recipe, but this time savory! 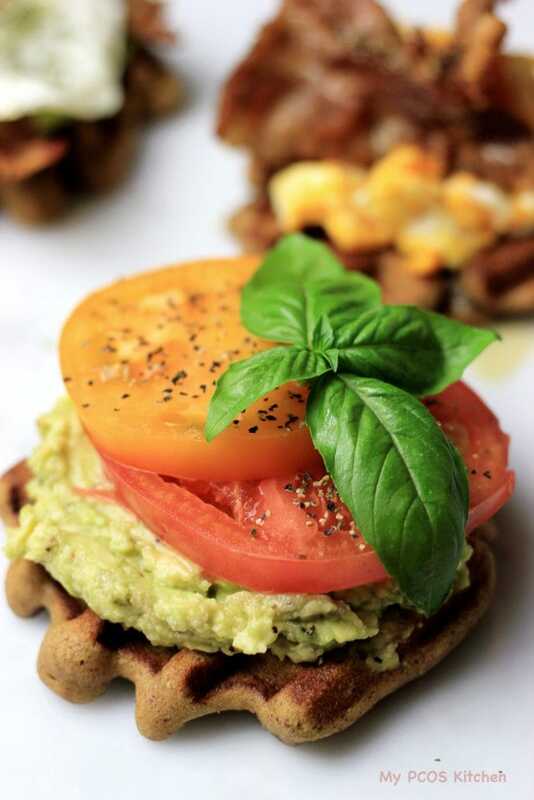 I uploaded a nectarines and cream paleo waffle recipe last week so this time I’d like to introduce you to the savory version: the Paleo Avocado Waffle Toast! 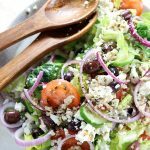 You can be creative and add any type of toppings you want, but I’ll introduce you to two avocado combinations that I made! I really like making these waffles because they are so versatile! 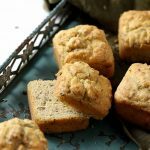 You can use them for sweet or savory things, as ”sandwich bread”, toasts or even pancakes! When making them for savory dishes, I prefer to leave out the Stevia powder and vanilla just because I don’t want them to be as sweet. I decided to make two different toppings for these paleo avocado waffles! The first is some mashed avocado with a couple slices of tomatoes and fresh basil. Speaking of tomatoes, I found an orange one! This may sound super normal to some of you, but we usually only have different coloured tomatoes for the cherry kinds so I was really excited when I saw the orange one. If you have different coloured tomatoes, I highly suggest using some as it can add beautiful colours to your dish! The second version was some sliced avocado, bacon and a sunny-side up egg! , to make these so you definitely don’t need a high-tech one. 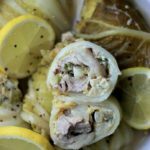 I like to make a big batch of these, freeze them and just microwave or toast them when I’m ready to eat one! Saves a lot of time in the morning which is perfect for me because I looooove sleeping. 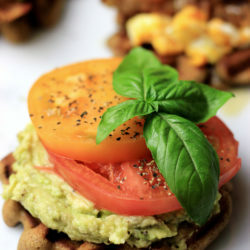 A delicious savory waffle topped with different avocado combinations! Combine the almond butter, eggs, butter, milk, vanilla and honey in a bowl. Whisk until combined. Add the salt, baking soda, stevia powder and almond meal. Mix to combine. Add about 1/4 cup of batter and pour it in your waffle maker. *You may need to oil/butter your waffle grill if it sticks. Cook until golden brown on both sides, about 4-5 minutes.Repeat until all of the batter has been used. Makes about 8 waffles. Peel the avocados and mash them in a bowl. Spread 1/8 of it over each waffle. Slice the tomatoes into 16 slices and place 2 slices on each waffle. Sprinkle the salt and pepper over. Add the basil leaf over for decoration. Fry your bacon slices in a non-stick frying pan until nice and crispy, and put aside. Using the bacon fat, crack your eggs in the same pan and cook on low-heat, covered, until the egg whites are fully cooked but the yolks are still runny! Peel the avocados and slice them lengthwise. 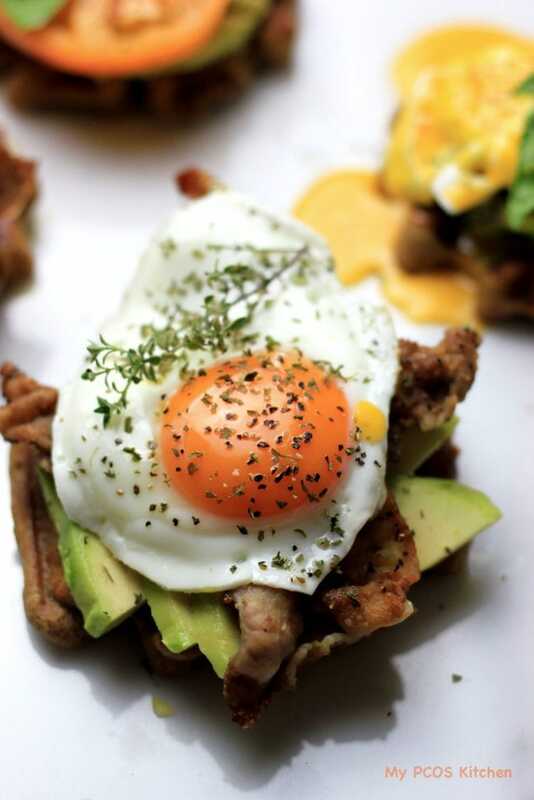 Add 1/8 of your avocado slices to each waffle, top with 2 slices of bacon and 1 sunny side up egg. Sprinkle the salt and pepper over.